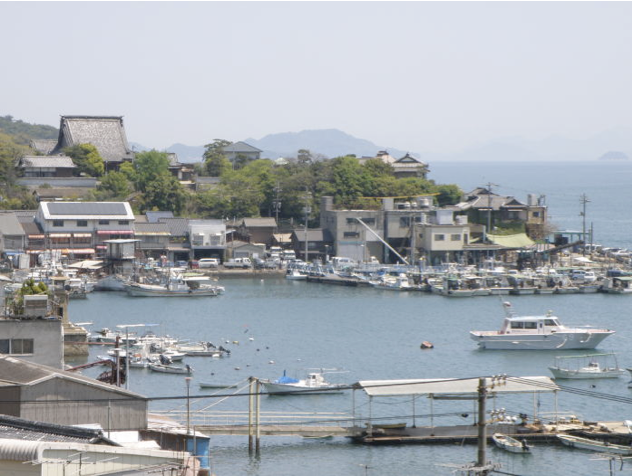 Located in the center of Seto Inland Sea, Tomo is where the tides from the east and west meet. Tomo flourished from the times of Manyo as a port for waiting the tide to change. Recently, it has come to be well-known as a place where “Ponyo on the Cliff by the Sea”, an animation by Hayao Miyazaki, was born. In the café overlooking the harbor we will discuss the evolution and peace of mankind, put our hearts together and pray.